The beginning of the 1990s, when the Council Directive 89/686/EEC on personal protective equipment (PPE) came into effect, there was a shift to make protective clothing true PPE. Since then protective clothing has grown to be the largest sector of the PPE market in Western Europe1. The new regulations and standards have bolstered this growth. Furthermore, increased emphasis on protecting people from occupational and leisure related hazards has necessitated the development of different and often more complex protective clothing. Like all PPE, protective clothing must be type examined before being released for sale within the European Economy Area (EEA). The European product directive for PPE 89/686/EEC sets out the rules regarding design, manufacture, and certification. This product directive is a “New Approach” directive giving the essential safety requirements, which are often referred to as the “Basic Safety Requirements” for all types of PPE. The technical expressions for the most general basic requirements are explained by harmonised European standards. The European Standards Organisation, CEN, whose members are EU and EFTA’s national bodies of states, is responsible for drawing up relevant standards for test methods and performance requirements for different types of PPE. In CEN, Technical Committee TC 162 (Protective clothing including hand and arm protection and lifejackets) consists of 12 working groups that are responsible for the preparation of standards. The standards mentioned opposite set specifications for different types of protective clothing and refer to European or International ISO test methods. Typically, a product conforming to the harmonised standard is assumed to fulfil the essential requirements. For the manufacturer, the most convenient procedure is to construct the PPE according to the harmonised standards. Additionally, the end users often request products, which are type examined according to the most up-to-date standard for the product being purchased. For example, for heat protective clothing for industrial use, the requirements are referred to in the EN 531 3 as indicated in the list. This standard specifies minimum requirements for flame spread and dimensional change of materials, protection levels against convective heat, radiant heat, and molten metal, as well as requirements for garment design that protects against molten metal splashes. The new draft (EN ISO 11612) also specifies areas, such as minimum requirements for strength heat resistance of the used materials and the garment’s seam strength. Some optional requirements are specified as well. After positive assessment, the manufacturer signs the declaration of conformity and affixes a CE mark on the product. Figure 2 shows an example of a CE marking for heat protective clothing. The implementation of European harmonised standards for conformity assessment is voluntary. The notified body must check the suitability of the manufacturer’s technical specifications with respect to the basic requirements in cases where a manufacturer has not followed or has only partially applied the harmonised standards, or when such standards are altogether missing. In the technical file, the manufacturer describes how the relevant basic health and safety requirements are applied to the foreseeable uses of the product in question. The manufacturer is allowed to invent or design a PPE of a radically new design, or one consisting of characteristics and levels of performance, which offer a higher level of safety than those envisioned in the European harmonised standards. In these cases, through its competence and expertise the notified body is required to demonstrate adherence to regulations. Verification by the notified body of the effectiveness of the protection offered by the PPE assumes concrete and up-to-date knowledge of the inherent situational dangers of the PPE’s intended use as declared in the manufacturer’s information 4 . As a research and specialist organisation in the sector of occupational health and safety, the Finnish Institute of Occupational Health (FIOH) has extensive and long-term expertise related to different types of hazards and their prevention. In practice, new products are often more advanced than the standards regarding them. There are also situations in which harmonised standards are unavailable for a particular PPE faced with a specific hazard. Occasionally, only some of the hazards referred to by the standards are assessed in the intended use. Below are examples of situations in which EC type examination could be performed based on the directive’s basic health and safety requirements. Nanotechnologies or other types of new technology can be applied to develop intelligent or so-called smart personal protective equipment with novel functions. They often open up new opportunities to develop more comfortable and multi-functional products. Sometimes conventional specifications provided in the current harmonised standards may no longer be able to demonstrate compliance. Even when different types of harmonised standards for heat and chemical protective clothing exist, there are some special cases in which suitable test methods are unavailable. For example: When a hot alkaline chemical liquid has caused injuries and hazardous situations for the workers in recovery boilers in pulp manufacturing mills 5 and when in the oil and gas sector high pressure steam has led to incidents 6 . In the next chapter, an example of test method development to define the protection against specific hazard will be provided. The primary cooking chemicals for pulp manufacturing are sodium hydroxide and sodium sulphide. In the recovery boiler, black liquor is burned at high temperatures resulting in a chemical liquid consisting of sodium carbonate (70%) and sodium sulphide (30%). This hot alkaline solution (860ºC) is conveyed through open channels out of the boiler. The hot liquid tends to produce precipitation in the channels causing malfunctions in the process. During opening the channels, the workers are exposed to splashes of the hot liquid. Therefore, body and face protection is essential. To ensure the protective performance against this kind of hot liquid the materials for protective clothing and other PPE must be tested in simulated conditions in the laboratory. The testing was started with a method, which was modified from the EN 373 method. This method specifies a procedure for assessing the resistance of materials used in protective clothing to molten metal splashes. The chemical was received in solid form from a pulp manufacturing mill. In an oven, it was heated to liquid form. The liquid was poured through a funnel into the material samples. The ignition, melting, and hole formation of the material was evaluated. Additionally, the temperature under the sample was measured. For this purpose, a copper calorimeter with four separate thermometers was designed. The copper thickness was 0.5 mm in order to facilitate quick measurements and sensitivity to peak temperatures. 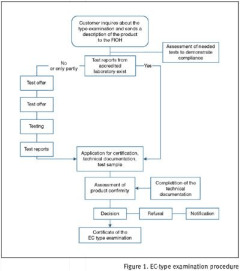 Figure 3 shows the test arrangements. Figure 4 demonstrates temperature curves for a three layer material combination giving sufficient protection. The material combination consisted of a silicon coated fabric as the outer layer, a Teflon-finished 50%/30%/17%/3% CV/WO/PES/R-stat fabric as the middle layer, and a 55%/45% FR PES/CO knitted fabric as the underwear. The temperature increase was under 40ºC. The temperature had been rapidly raised to over 55ºC when conventional flame retardant materials according to EN 531 were tested. At some work sites, aluminised material was used for additional protection. The laboratory measurements showed that this did not provide sufficient protection given because the hot alkaline liquid penetrated the material. Sometimes the intended use area does not cover all the performance requirements given in the standard. EN 471 specifies requirements for conspicuous material, and minimum areas and placement for providing noticeability in daylight. Retro reflective materials are used in dark circumstances, and need additional light, such as produced by vehicle headlights. For example, T-shirts meeting only requirements for luminous background material could be type-examined based on the basic requirements of the directive for intended use during daylight in countries where daylight hours are lengthy during summer. This is provided that the use area is clearly stated in the instructions. 1 Personal protective equipment in Western Europe. Technical Textiles 48 (2005):3, E 160. 4 PPE Guidelines, Guidelines on the application of council directive 89/686/EEC of 21 December 1989 on the approximation of the laws relating to personal protective equipment, 17 July 2006, http://ec.europa.eu/enterprise/mechan_ equipment/ppe/ppe_guidelines.pdf. 5 Sati R. et al: Protection from steam at high pressures: Development of a test device and protocol. In: Eds. D. Podgórski, K. Majchrzycka, G. Bartkowiak, K. Szczecinska, Protective clothing - towards balanced protection. Proceedings of the 3rd European Conference on Protective Clothing (ECPC) and NOKOBETEF 8; 2006 May 10-12; Gnydia. [CD-ROM] Gdynia. 6 Mäkinen H. et al. Development of a test method against hot alkaline chemical splashes. In: Eds. D. Podgórski, K. Majchrzycka, G. Bartkowiak, K. Szczecinska, Protective clothing - towards balanced protection. Proceedings of the 3rd European Conference on Protective Clothing (ECPC) and NOKOBETEF 8; 2006 May 10-12; Gnydia. [CD-ROM] Gdynia.